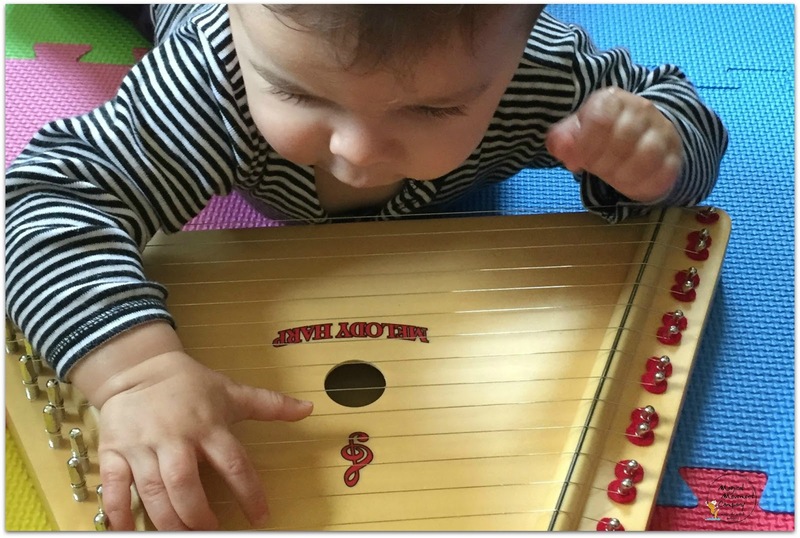 Musically Montessori: Start the Year with Songs. The Importance of Movement. 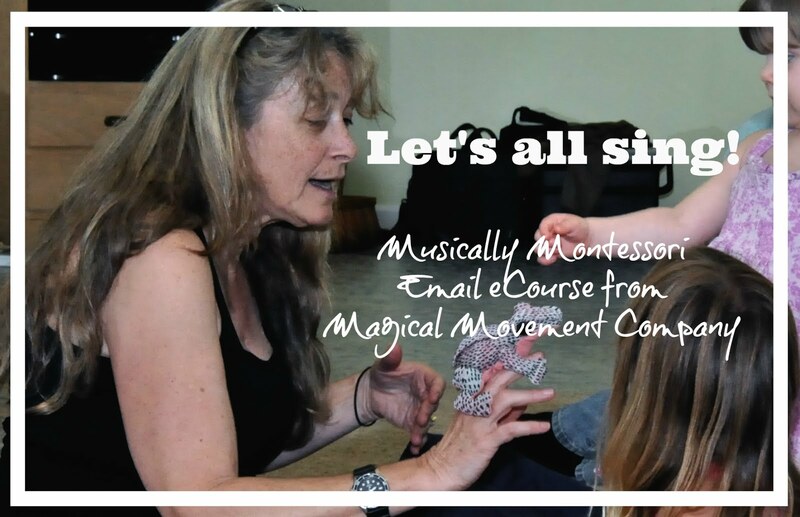 THE WAY CHILDREN LEARN IS THROUGH MOVEMENT! 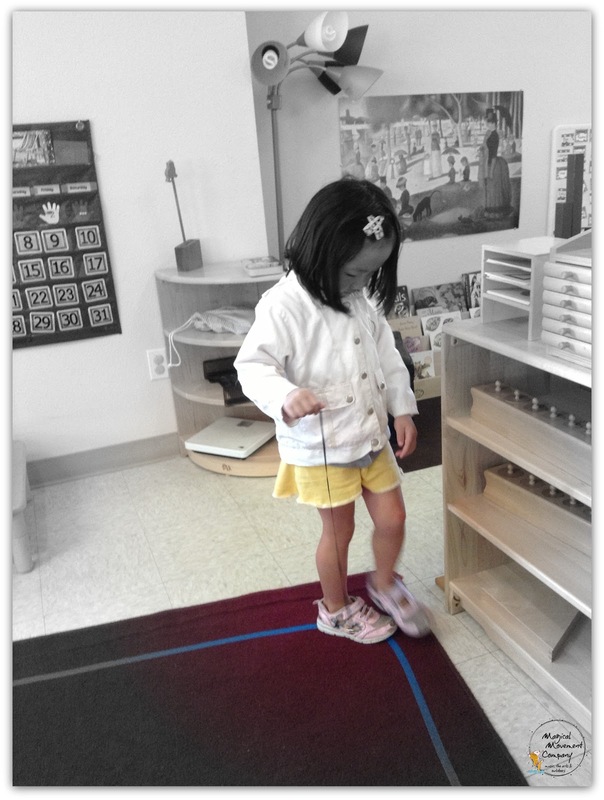 At least according to Dr. Maria Montessori. You can engage your groups right away with planned Movement Activities at your Circle Time. This is the second article in my Blog series "Start the Year with Songs." Click HERE to read the first article, "The Importance of the Hand." Put on some relaxing music and show your groups some simple Yoga poses, such as "Mountain", or "Waterfall" or "Tree Pose." These can all easily be done at Circle while standing up and the poses take less than a minute to do! After you have introduced 2 or three Yoga poses at Circle Time, you can set up a shelf work with Yoga Cards, a card holder, and 2 child-size yoga mats. You can keep a music recording of quiet yoga music near the shelf where you store the Yoga Cards. Then, 2 children can practice Yoga poses together during work time. Using the Yoga cards, the children will not only be sharpening their coordination skills, they will also be gaining some pre-reading experiences by choosing the card, interpreting the pose that is pictured, and even "reading" the name of the pose and the yoga poem on the back of the card. I really like this set of Yoga Cards for children from Kaplan. 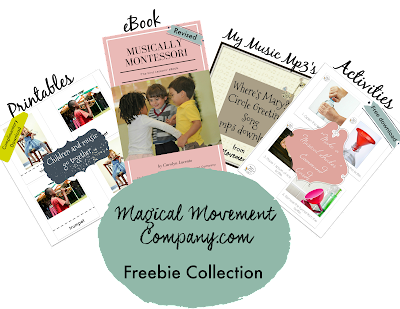 Click here to see a darling video of children doing the poses and reading the poems on the back! And here is one of my groups' all time favorite movement songs for Circle Time. "Yoga Clock"
I've included links for 3 different youtube videos (see below) of this really fun song. 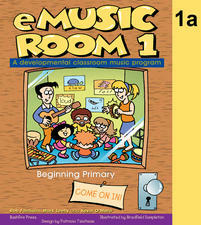 This song is only available in cd version from Karma Kids Yoga at Amazon. 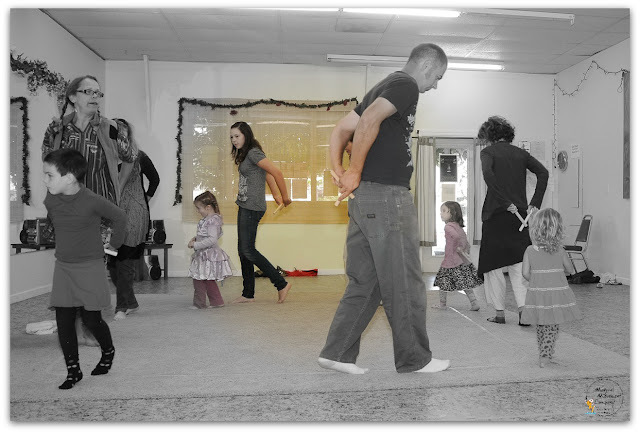 FREE FORM DANCING: FUN ANYTIME! 3. 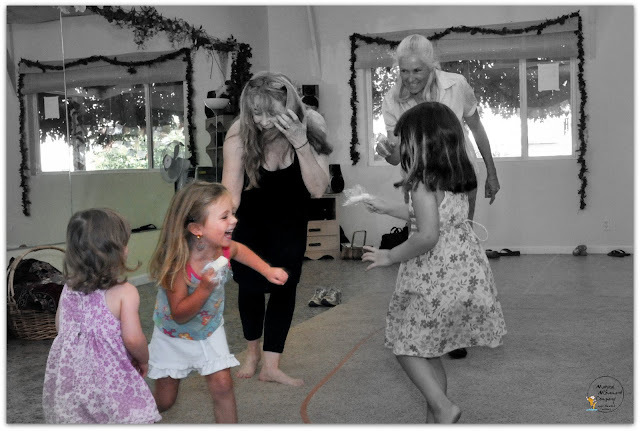 Invite the children to dance when the music is playing, but remind them that they must be listening for when the music stops! 4. 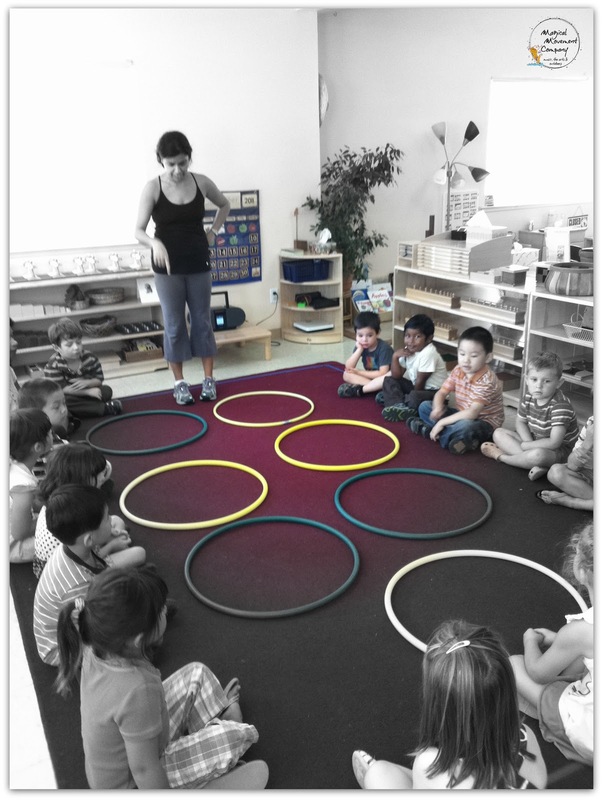 When the music stops, the children must hop into the hoops and FREEZE! You can also sing some familiar nursery songs (ex: "A Marching We Will Go") while marching and keeping a steady beat with the rhythm sticks. My groups have always loved having objects to carry while walking on the Montessori Line during work time. You can always have bells on the end of strings for a bit of a musical experience. 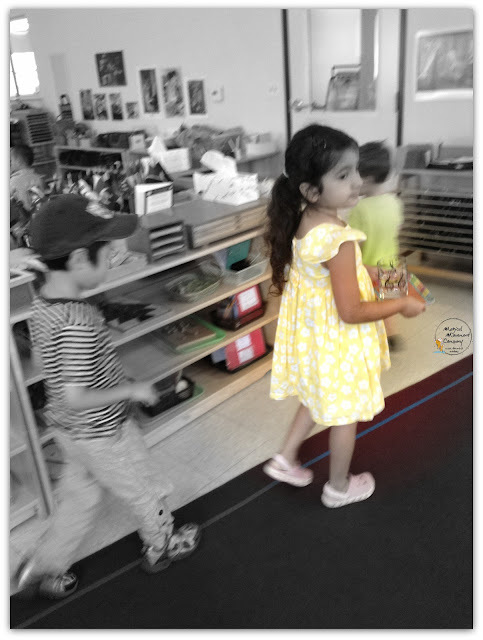 Whenever the children request, you can play some simple instrumental recorded music while they move along the Montessori Line during work time. Adding beautiful music keeps the activity focused and calming. Hand and finger plays that go along with nursery songs have long been an old standby of the seasoned teacher. 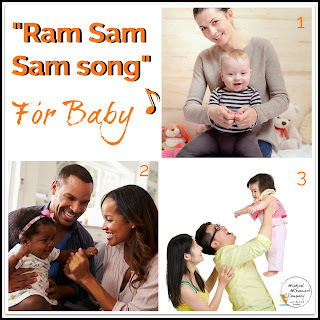 (Think: "Itsy-Bitsy Spider") During these first weeks of school, my groups have been greatly enjoying the motions we use with the lively favorite, "Ram Sam Sam song"! Check out my Newsletter for more activities! 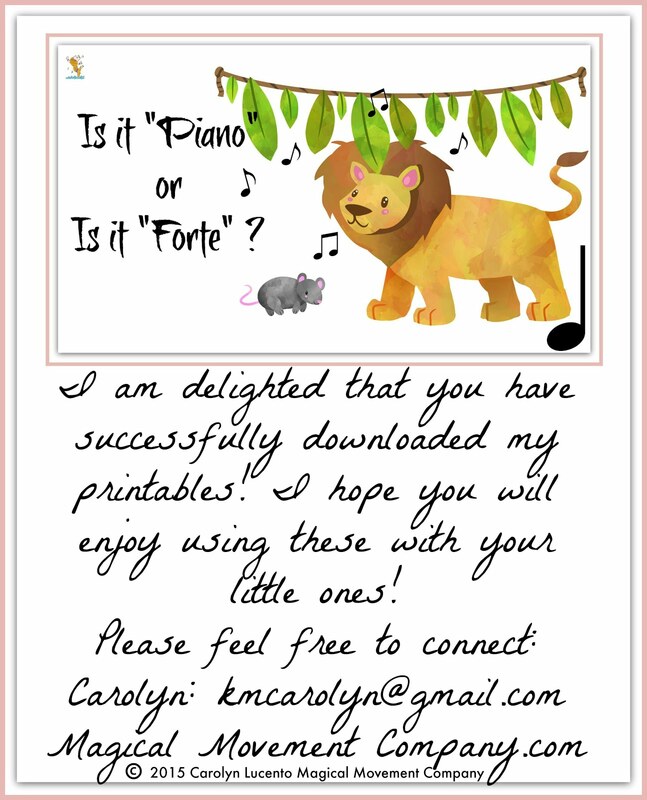 If you are a subscriber to my Newsletter, you will enjoy my "Fun & Free Activity" in this week's email. I describe the motions we use to go along with the Ram Sam Sam song and also how I add music concepts to further enrich the cognitive value of the song activity. How about starting your baby out with this upbeat little nursery song that adds large motor exercise to enchant any little one who happens to sit upon your lap! 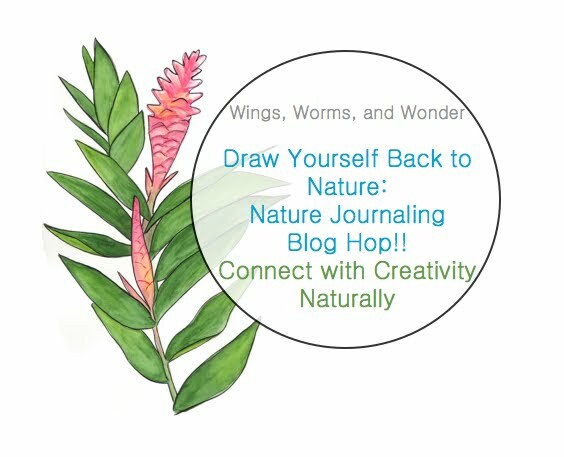 Learn how I do it, in my latest email Newsletter! Not an email subscriber yet? It's easy. You can sign up right here on the sidebar of this blog. Or scroll down if you are using a Mobile device. 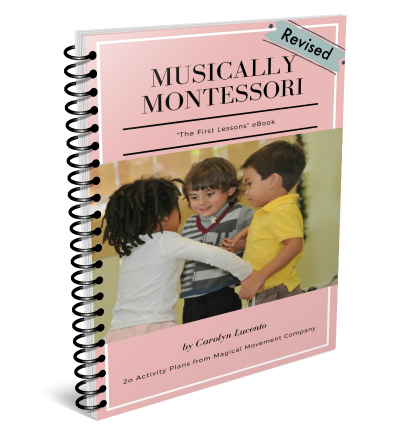 When you become a subscriber, you will gain the access code to my Subscriber's Freebie Collection with more than 30 free downloadable resources including my eBook, "Musically Montessori: First Lessons." 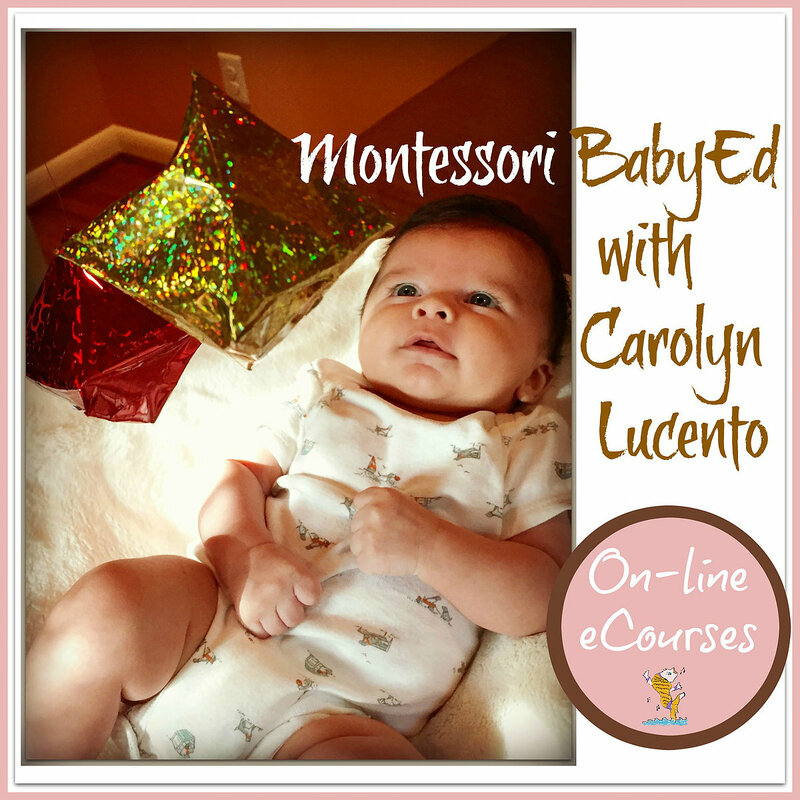 Did you know that my Montessori Baby-Ed eCourses are open for enrollment? 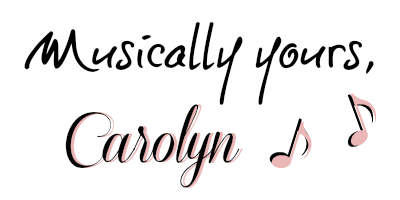 Stay tuned for my early bird specials I will be offering to my Subscribers. 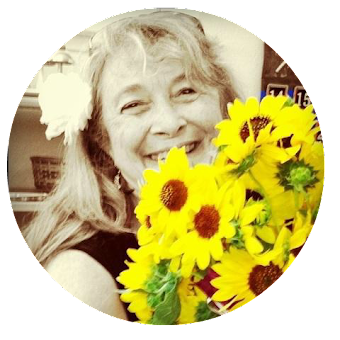 I invite you to see my Pinterest Boards HERE. Thank you again for visiting my Blog today. 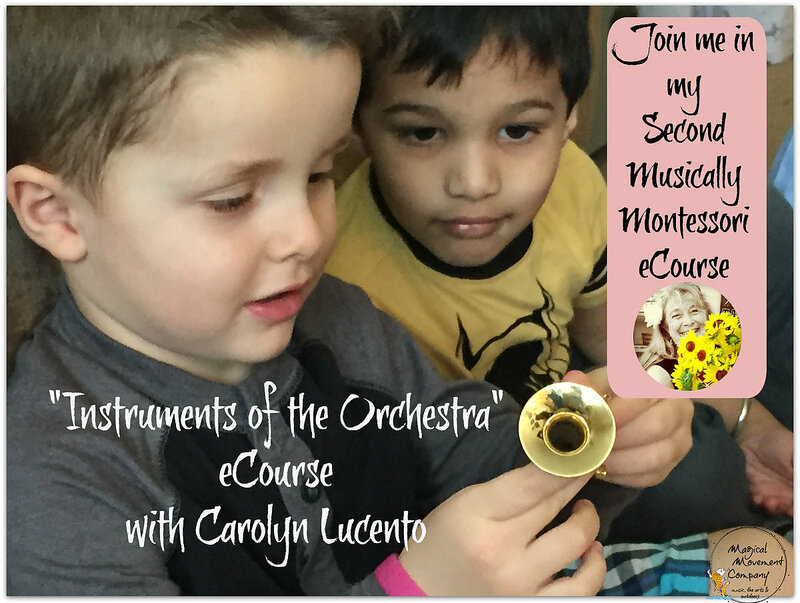 I hope you have gotten some fun and useful ideas for music with your children!